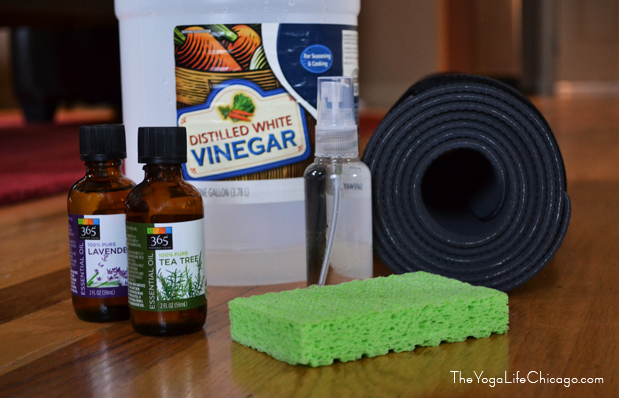 Anyway, since then I've been using a homemade all-natural yoga mat cleaner I found on-line. I'm excited to say the homemade cleaner is ommmmtastic and doesn't leave me sliding into another another asana. There are a variety of yoga mats out there and of course, they all have slightly different ways to clean them. To ensure what your using won't ruin the mat, visit the company's website or Facebook page and see what they recommend. They may try and sway you to use their cleaner, but at least you'll know what not to use on your mat. Have a great day yogi's!